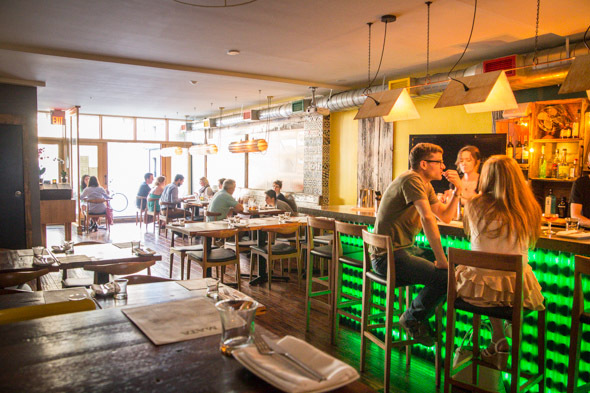 Mata Petisco Bar is situated in Parkdale, taking up the former address of Keriwa Cafe . The new spot is the brainchild of Felipe Faccioli, Patrick Fraser, Tulio Lessa, Steve Fernandes, and Sharath Dwarkanathan, a quintet of service professionals who met years back working at Salt Wine Bar . The interior, designed by Ian Rydberg of Solid Design & Build , repurposes some things Keriwa left behind, though you likely can't tell. The 50-seat room is a kind of South American-chic, mixing warm woods, industrial fixtures and vintage pop art advertising Brazilian beers. In the kitchen, chef Faccioli shares a cross-section of South American snack foods with a heavy focus on favourites from his home country of Brazil. 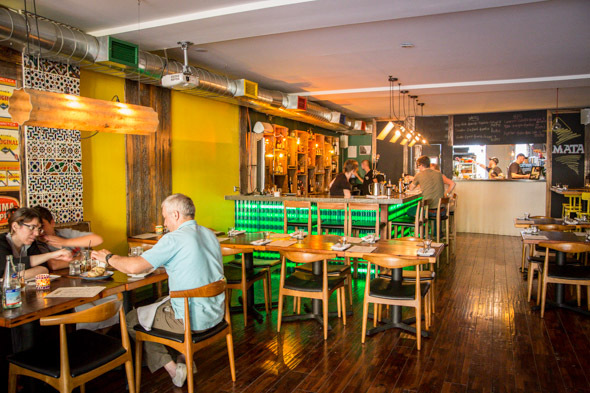 The cuisine is already peppered with colonial influences from Japan and Portugal, but it takes on an added dimension that also feels very Toronto. You'll find poutine ($14) and sliders ($12) on the menu; the former is done with cassava fries, the latter made with picanha , a top cap sirloin cut of beef. The menu doesn't do courses but rather a scattering of small plates meant to be shared around the table. There are meaty smoked pork side ribs ($16) glazed with guava BBQ sauce and served with crisp golden plantain chips dusted with Japanese Togarashi chili powder. 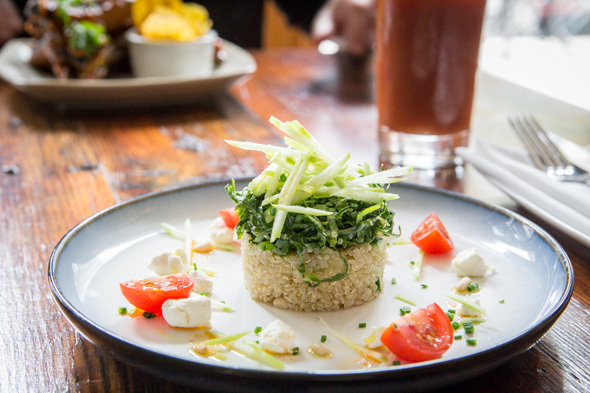 Quinoa and goat cheese salad ($9) sees tart granny smith apples and a chiffonade of deep green kale tossed with lemon dressing. The quinoa, studded with pine nuts, is the new standard I will hold all quinoa to from here on out - it is light and fluffy, gently seasoned and imparted with flavours from a fortified vegetable stock. 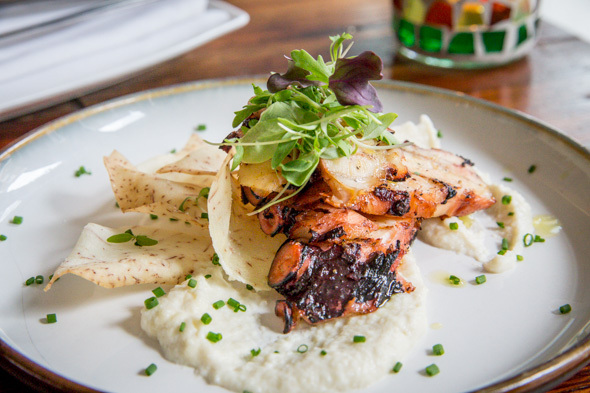 Grilled octopus ($15) is well executed too, cooked to an improbable tenderness, set over a puree of hearts of palm, and finished with a raspberry balsamic reduction and garnished with taro chips. I only wish the portion was bigger. The wine list is limited though easy to navigate, since it features only three reds and three whites which are offered by the glass ($9-$14), half glass ($5-$8) or bottle ($40-$60). On tap there's Nickel Brook ($5.75-$6.75) while local brews are stocked in bottles or cans ($5.50-$6). 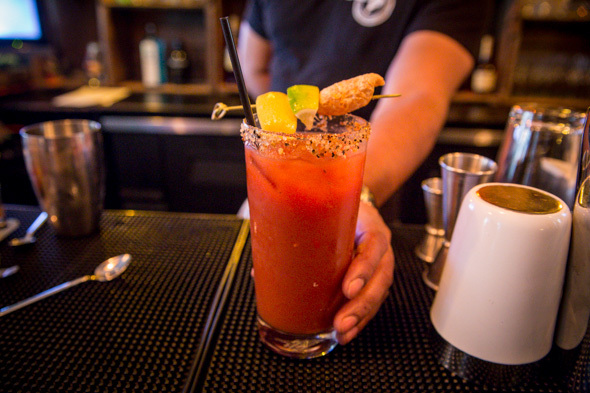 There is more selection when it comes to cocktails, including traditional drinks like pisco sours ($12) and caipirinhas ($12), as well as a take on a caesar ($12) done with Walter's mix and sweet cachaca that's balanced with muddled hot peppers and finished with a chicharron. 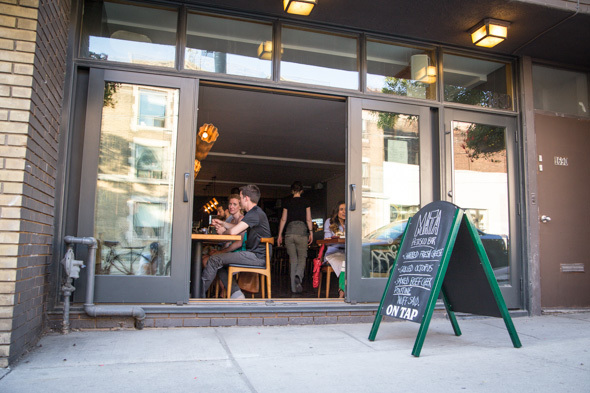 Mata, having opened amidst the frenzy of the World Cup, is keeping a schedule in time with games. Once the soccer mania dies down, expect regular hours to be 5pm to at least 11pm from Tuesday to Sunday. Weekend brunch will be launched in the coming weeks.